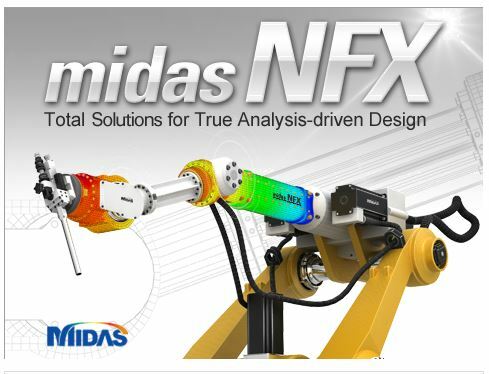 midas NFX 2019 R1 has been released. The 2019 version of midas NFX contains several improvements for easier and faster FEA modeling like New View Controls, Result Extract-new option, Line to Line Contact and it also includes Topology Optimization with New Manufacturing conditions. The new release consists of several improvements for CFD analyses like: Reynolds Stress turbulence Model, Overset Mesh - 3D Elements, Wall translational motion, New Wall Type-Particle, Spring/Damper system, Collision Wall, Heat Source-Boundary Condition and New Function input. For more details, please refer to the attached release notes.